Published by Columbia Music Company, Inc.
Segovia's Slur Exercises has helped generations of advancing guitarists master their instrument. 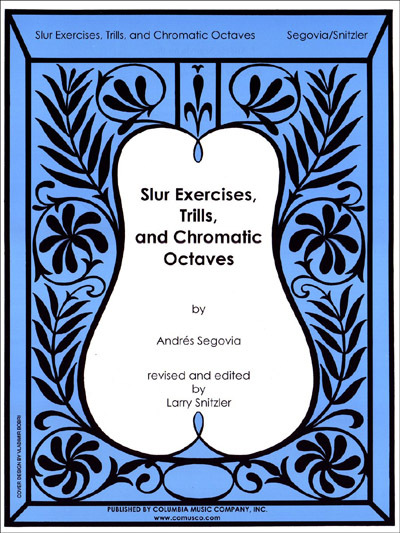 Larry Snitzler, one-time student of Sophocles Papas and long-time student and associate of the great Spanish maestro Andres Segovia, has edited and expanded the seminal slur studies to create Slur Exercises, Trills, and Chromatic Octaves, faithful to the original (with few corrections). a fun way to add some punch and pow to your classical guitar playing and redo Sk8er Boi into a classical guitarist anthem of pride and strength!